Aside from the Winter Festival, there are other things to discover in Sapporo, an enchanting place in Hokkaido. There are stunning landmarks scattered all throughout the region, authentic Japanese curry, and the well-known Sapporo Beer. SAPPORO BEYOND THE BEER. Visit Nikka Whisky's distillery to see how skilled craftsmen create the perfect whisky. 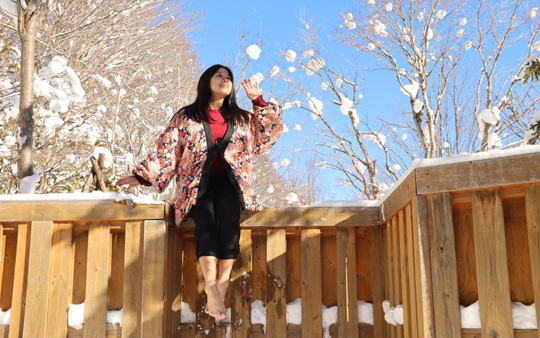 The country’s flag carrier, Philippine Airlines, which now flies directly to Sapporo three times weekly, offers this four-day itinerary for those curious to know the hottest picturesque spots in Japan’s hidden wonder. Take a photo once you arrive at New Chitose Airport. Satisfy your chocolate cravings by going to Royce’s Chocolate World or get your favorite toy from the airport’s several toy stores. Once you’re done, hop on a cab, ride the train, or rent a car to get to the city proper. After checking in to your hotel, start your Sapporo immersion by going to the Northern Horse Park. Post a photo of you riding horses through the park’s serene surroundings. 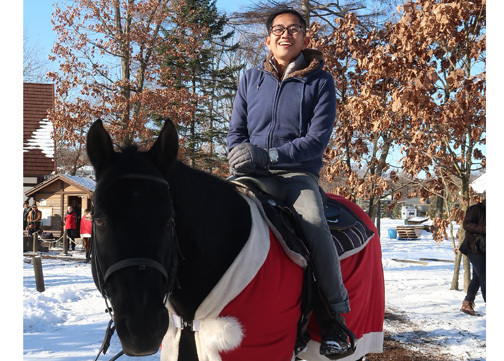 Ride a horse at Northern Horse Park. Explore a piece of history frozen in time at Noboribetsu Date Jidaimura’s Edo period temples and houses. Try to spot the samurais, ninjas, and geishas scattered throughout the village. Cap off your first day with a tour at the Noboribetsu Hell Valley. Take snaps as you bathe in a combination of 11 kinds of water filled with different kinds of minerals that are healthy for the body. This ancient Japanese spring treatment is said to cure ills and ailments. Booking a flight during the winter season? Start the day with a view to remember by going to Orofure Pass. Take pictures of the breathtaking snow-covered valleys when you get to the viewing deck. Then go up Mt. Usu in the most scenic way possible: ride a cable car to the volcano’s summit and enjoy a panoramic view of Lake Toya, Toya Caldera, and the Usu Volcano Global Geopark. Take pictures at the snow-covered valleys. Once you get back down from the summit, you can take a relaxing walk along the coastline of Lake Toya or follow the trails leading to the other vantage points of the island. If you’re a dairy lover, then Niseko Milk Kobo will be heaven on earth for you. Thanks to Hokkaido’s great air quality, relatively cool summer weather, and wide open farming areas, their dairy products have a unique taste that’s incomparable. Once you get there, try their unique milk blends or choose from a range of mouthwatering pastries. Unleash the adrenaline junkie in you as you ride down the slippery slopes at Niseko Ski Resort, located at the northern part of Hokkaido. 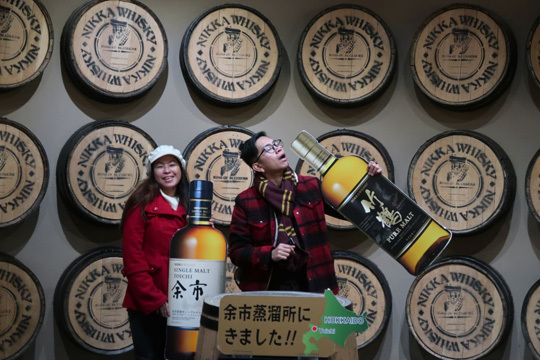 See how Nikka Whisky is made by visiting its distillery. Observe age-old traditions performed by skilled craftsmen as they create the perfect whisky. Half an hour away from Sapporo is the quaint harbor city, Otaru. The place is famous for its intricate glassworks, music boxes, and sake distilleries. Strike a pose as you walk along the beautifully preserved canals that date back to the 1800s. Ring the Fortune Bell at Mt. Moiwa. After a few hours learning about whiskies and others, discover the European architecture-inspired landmark, Shiroi Koibito, tucked away in the heart of the city. It’s a chocolate park where you can try making your own Shiroi Koibito cookies. 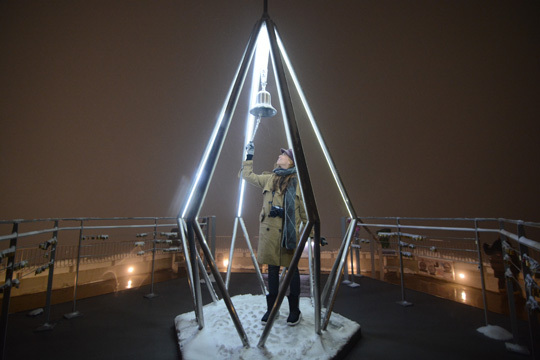 End the night with an amazing view of the entire Sapporo skyline at Mt. Moiwa. Take a romantic photo with your significant other or just enjoy the magical scenery. Undeniably one of the most Instagrammable spots in Japan, walk through thousands of tall vermilion torii gates that lead up to the shrine’s sacred forest at the Fushimi Inari Shrine. Enjoy a relaxing massage in the middle of the woods. After taking one or 12 photos at the Fushimi Inari Shrine, explore Sapporo’s urban grit. Stroll through the famous Odori Park, snap a selfie in front of the century-old clock tower, or capture the city’s beauty when you go up the sky-high TV tower. Punctuate your trip by treating yourself to a relaxing massage in the middle of the woods at Sato Jozan Spa. Let your body rejuvenate from your epic Sapporo adventure.